Early history indicates that a Baptist Church was formed in 1800, a Congregational Church in 1802 and a Free Will Baptist Church in 1813. The Free Will Baptist Church was located at the corner of Cherry Valley and Rt. 302. The first edifice devoted to religious purposes in Bethlehem was built by the Congregationalists and Methodists around 1825. It was built east of the Centennial House which later became the Arlington. This area was known as the Common. In 1831, the Methodists erected a church of their own and it was on the site of the present Methodist church. The Congregationalists resigned their church in 1853 and had their services on alternate Sundays at the Methodist Church. When the Congregationalists were using the Methodist church the building was materially renovated and improved. It continued as a Union Church for quite some time. The “new” Methodist church grew and prospered. In 1874, extensive renovations were made to it. The structure was raised and a vestry built at a cost of $6000.00. In 1899 at the quarterly conference, it was voted unanimously that a new Methodist church was needed at the earliest practicable date. A committee was formed with Fred L. White as chairman. 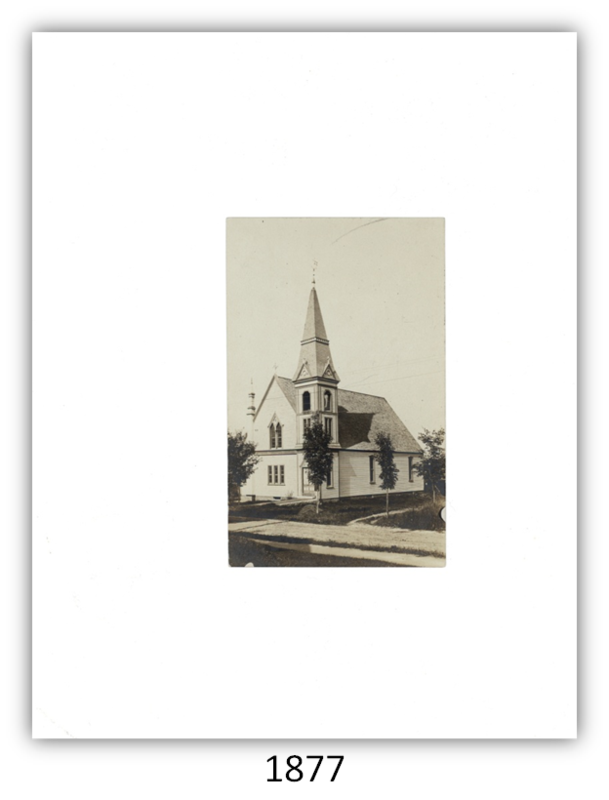 On November 25, 1899, a contract was signed for a new church to be completed in July, 1900. 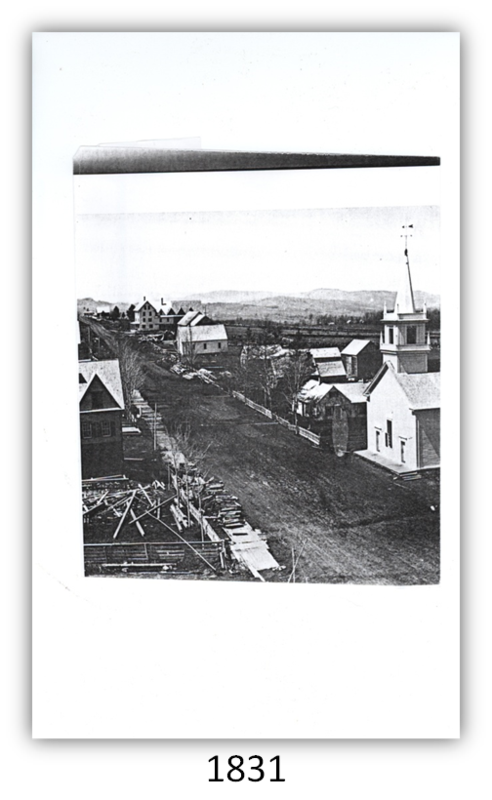 H. A. Thayer was the contractor and the church was built for $5564.00. The contract was for just framing and shingling. All other necessities were to be done at an extra cost. Total value of the church was $13,095.82 which included the lot and the parsonage. On March 9th, 1900, Rev. C.M. Howard was elected pastor and planned for the dedication of the new church. During the first three months of 1900, services were held in the dining hall at the Columbus Hotel on Park Avenue. 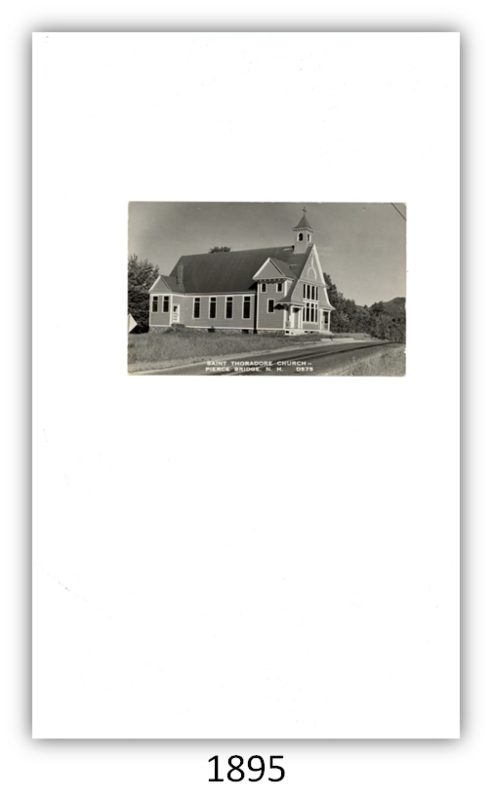 The first service at the church was on July 15th, 1900. 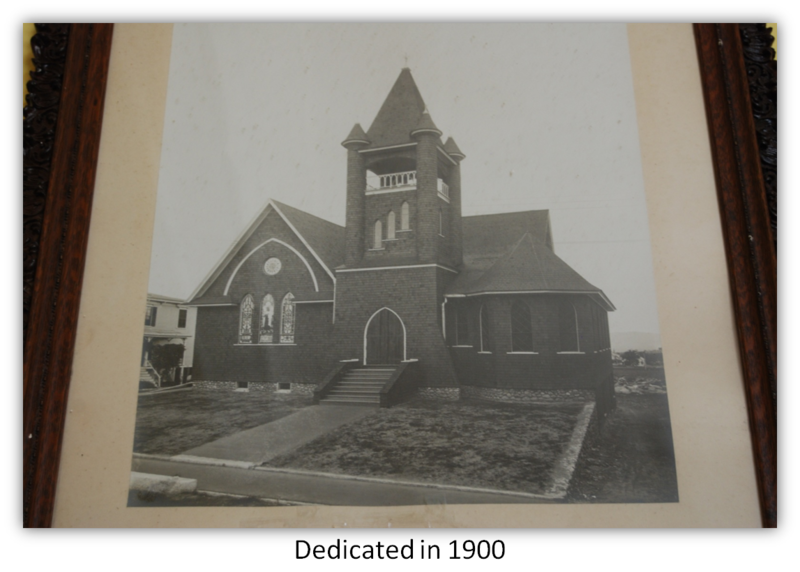 In 1901, the new Methodist Episcopal church was dedicated and today the church is known as All Souls Durrell United Methodist Church. It is one of only two of the original churches still open. In 1876, Isaac S. Cruft gifted land to the Congregationalists to build a church of their own. 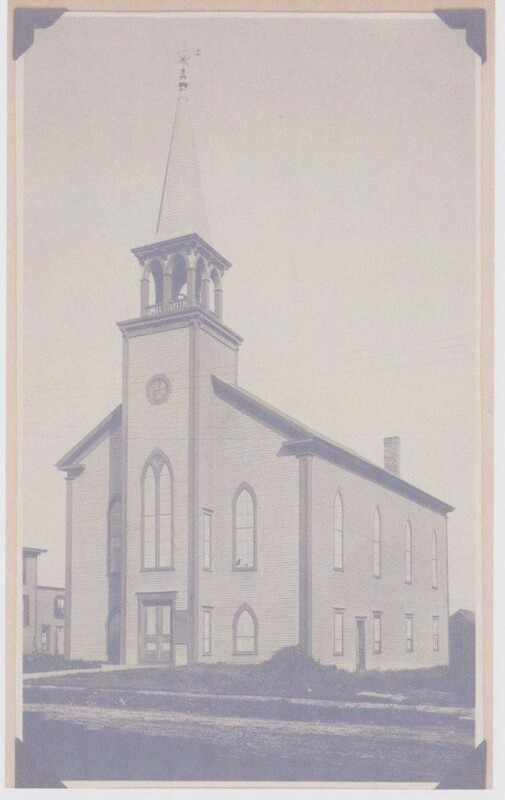 Mead, Mason and Co. of Concord had the contract for the building at a cost of $300.00 and the church opened for services during the summer of 1877. The church was located on Maple St., then known as Cruft Avenue. The first minister was ordained in 1830. In 1940, the church was bought by Warren, Clare and George Churchill in honor of their father, Thomas Warren Churchill. They deeded the building to the Independent Order of Odd Fellows, Maplewood Lodge #100. The Maplewood Lodge sold the hall in the mid-nineties and it is now privately owned and operated as “42 Maple”. Ironically, the IOOF, who met in the Congregational Church for about 55 years now holds their meetings in the Methodist Church – just as the Congregationalists did years ago. The Protestant Episcopal Church was not built until 1877. There were summer residents of that faith who worshiped in parlors of hotels and boarding houses. George W. Tinges of Baltimore, Maryland felt that a church was needed and he started the movement to get one built. Bethlehem was known to be his favorite vacation place. The first service was held on July 8th, 1877. The church was named “The Church of the Nativity”. This was suggested by the wife of Bishop Niles, who consecrated the building on July 28th, 1880. In the 1920’s, the Jewish population of Bethlehem was increasing. They came from Boston, New Jersey, New York, Connecticut and other areas. Many of them came here for the pollen-free environment for hay fever sufferers. The formal organization of the Jewish religious community in 1920 is noted at the synagogue where there is a list of donors who contributed towards the purchase of a Torah for use at services. As the Jewish community grew there became a need for a place of worship. Services were held wherever a place could be found. Finally, a building became available and it was the Church of the Nativity on Strawberry Hill. 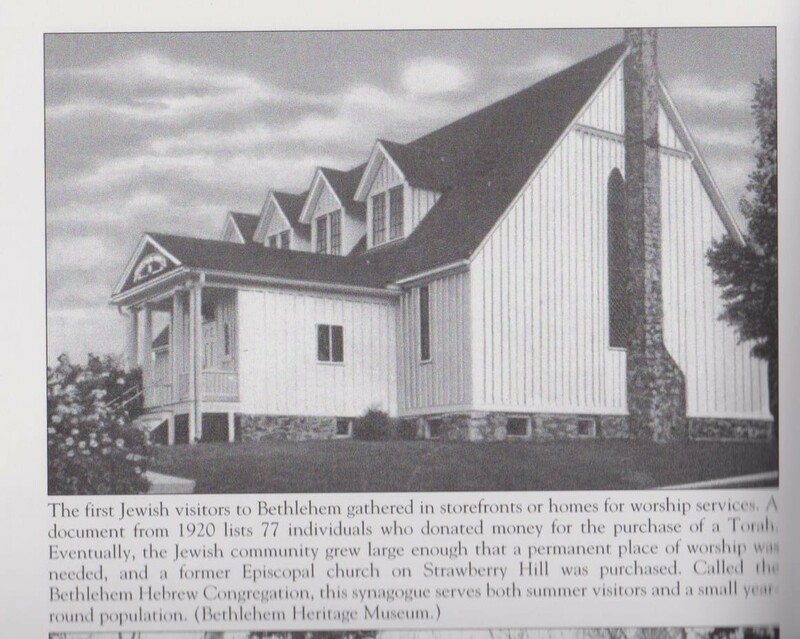 It was purchased and became Temple Israel Synagogue better known as the Bethlehem Hebrew Congregation. St. Theodore’s Catholic Church at Pierce Bridge (Bethlehem Junction) was built in 1895, making it the first Catholic edifice in Bethlehem. A newspaper article in 1894 stated that General George Cruft of the Maplewood gave some land for the church to be built on and also made a large gift for the edifice itself. 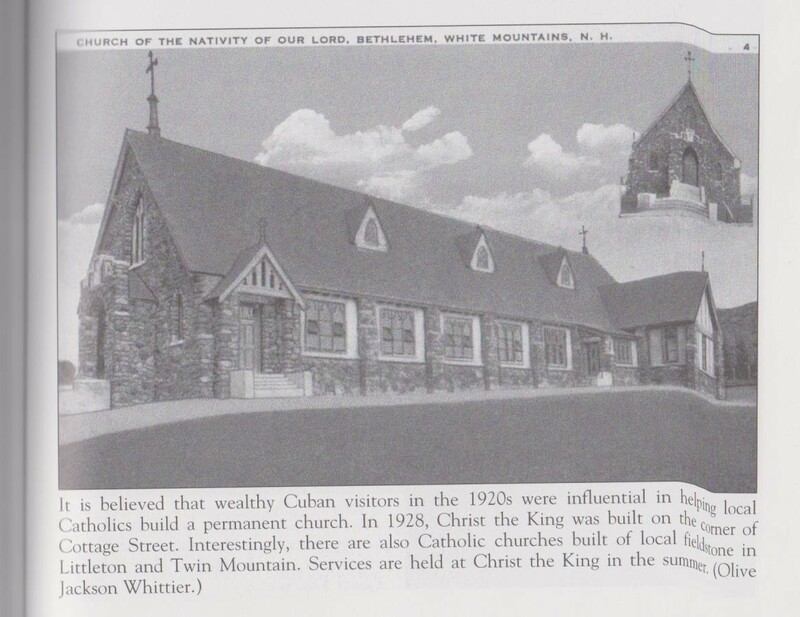 The church is listed in the White Mountain Directories as being used mainly during the summer months and was closed around 1960. The church was purchased for a private residence. The Christ of King Catholic Church was built in 1928 and is across from the schoolhouse on Main St. It is made of river stone that was hauled from the river by truck. There is little history on the church. We do know that the summer Cuban population which included the President and Vice-President of Cuba, came to Bethlehem during the summer months. They rented rooms and homes for the summer. They arrived in their own private train cars at the Bethlehhem and Maplewood Rail Road depots. There is some documentation that they were instrumental in getting the Catholic Church built with generous donations. The church has been closed for some years and is now a private residence. 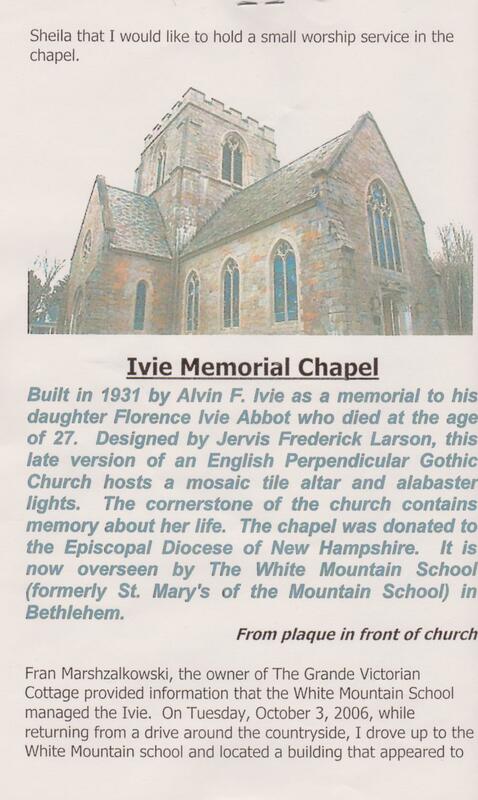 The Ivie Memorial Episcopal Church was built in 1931 by Mr. Alvin E. Ivie in memory of his daughter, Mrs. Karl P. Abbott. St. Mary’s School, now White Mt. School, used this church as their chapel for years. In 2007, Jon M. Baker, owner of the Maplewood Residential Development, LLC, bought the church, which had not been used in some time, from the Episcopal Diocese of New Hampshire. All of the furniture and fixtures were removed which was necessary to “decommission” the church.The window memorial plaques were removed by the Bethlehem Heritage Society and pictures were taken of the memorial windows. These are located at the Society Museum.